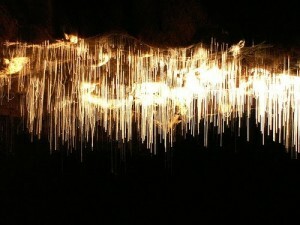 Located in Waitomo on the North Island of New Zealand are magnificently illuminated caves. 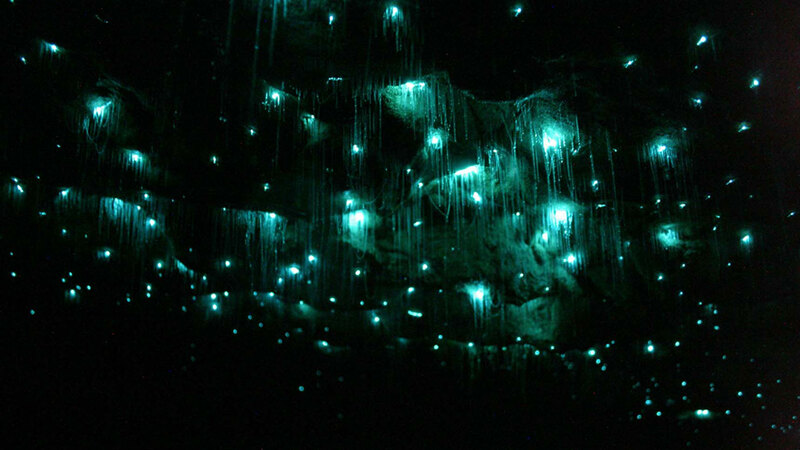 These caves are illuminated by millions of Glowworms, only indigenous to the nation of New Zealand. 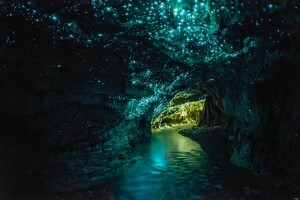 Within these caves is a river that flows through entirely through it, and a central Glowworm Grotto where the majority of the luminescent worms live. About 30 million years ago, these caves existed under the ocean, being constructed, formed, and carved by immense amounts of pressure and the water of the ocean. The cave walls, stalagmites, and stalactites are formed by millions of year old limestone deposits, fossilized sea corals, sea shells, and fish fossils. After millions of years of tectonic plate movement, the caves started to bend and fold over on itself, eventually rising above the surface of the water forming closed off caves of what now exists today. 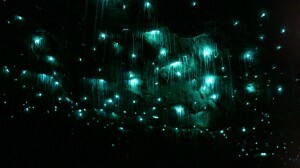 More incredibly, the cave’s ceiling has millions of bioluminescent Glowworms, also known as Arachnocampa luminosa. 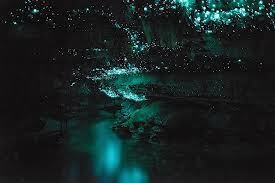 The Glowworms are born as larvae in nests of about 100 per per birth and grow up to about the size of a mosquito. 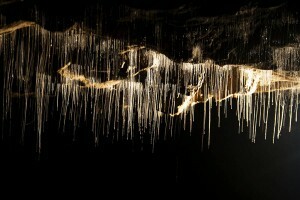 The worms spindle down from their nests from the ceiling with about 70 threads of silk reaching about 30-40 cm long. The worms’ bioluminescence is a result of a chemical reaction involving an enzyme, Luciferin, that the worms produce reacting with energy (food) and oxygen, it creates a dazzling, bright blue/white color. The worms prey on moths, millipedes, or even small snails, yet interestingly, the hungrier the worms are, the brighter they will shine. Early 1800s tribesmans’ chief owned the area of the cave, offering it to visitors to tour. The caves are now currently still owned by the first owner’s decedents as they still offer tours for the public of New Zealand. These Glowworms are a majesty of science and nature. They’ve adapted to thrive in millions in these dark, wet cave walls. These starlike worms are a natural beauty. This entry was posted in Uncategorized on November 20, 2013 by Nate Walborn. Well like the others said, this looks really cool. The history and statistics you added to the presentation of the pictures really puts the “natural beauty” of the creatures in perspective because it shows how much took place for them to just exist for us to marvel at them. This would definitely be an experience to visit. 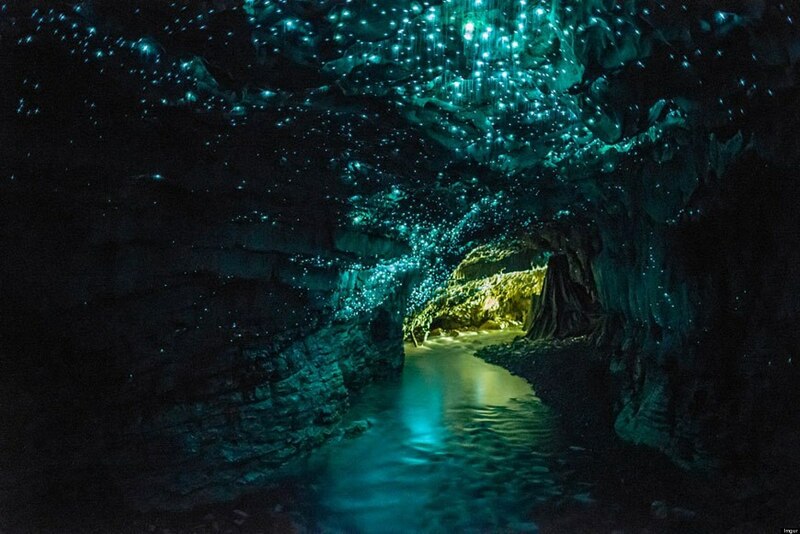 The glowworms really do look like stars! I can even see the Milky Way in your first photo … The first people to have found this place must have thought it was absolutely enchanted. Those worms are definitely a treasure to be shown off and well-protected! These images are absolutely stunning! New Zealand has always been one of my major destinations, so I really hope I get the chance to visit this amazing site. The way you write about this beautiful phenomenon makes it seem like it’s from a sci-fi movie. I really like how you keep picking unusual places that the majority of us haven’t heard of. I love this blog!